cheap viagra 100mg The Kiwanis Club of Grantville-Allied Gardens will be serving two “all the pancakes you can eat” pancake breakfast fundraisers on Saturday, Sept. 8 and Sunday, Sept. 9 at the Allied Gardens Recreation Center, 7–11 a.m. The Saturday breakfast will be held in conjunction with a rummage sale and the Sunday breakfast will be held in conjunction with Team Photo Day for the Crusader Soccer League. order now All proceeds from these fundraisers will go to community and youth service projects. Tickets are available from Kiwanis members or at the door. Ticket prices are $7 for ages 16 and up, $4 for ages 6 to 15, kids under age 6 are free — and the price includes free refills on pancakes and coffee. click here Every year, Kiwanis holds an event to raise the funds needed to support their community and youth services. The first Kiwanis pancake breakfast was held in 1968, a rummage sale was later added to the event which ended in 1988 when Kiwanis opened their first Christmas tree sales lot. The very successful Kiwanis Christmas tree lot operated for an amazing 28 years. We are now back to lifting pancake plates instead of Christmas trees. http://sanfordbiggers.com/bio click here All the user groups in the Allied Gardens Recreation Council have been invited to join us at the rummage sale on Saturday morning for their own fundraising efforts. The Sunday morning pancake breakfast will be in support of the Crusader Soccer League Team Photo Day. Over the years, Crusader Soccer has given thousands of local kids the opportunity to play the popular sport of soccer. World Cup excitement, anyone? click here For more information about the Grantville-Allied Gardens Kiwanis, visit alliedgardenskiwanis.org. 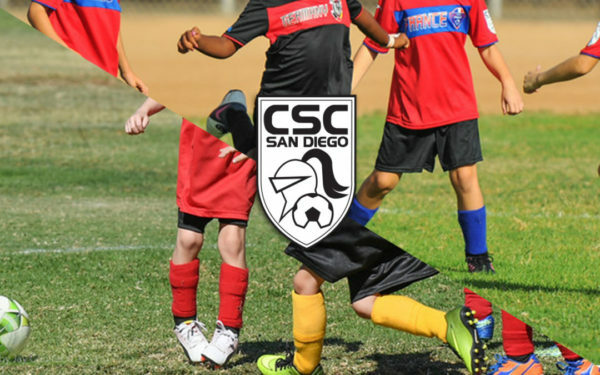 On Saturday, Sept. 8, the Crusaders Soccer Club (CSC) 2018 fall soccer season will begin with over 1,000 players on 103 teams on many of the fields in our community. There is a wait list for playing in the CSC fall program. There is no charge unless the child is placed on a team. The CSC annual “recreational division individual and team photo day” will be at the Allied Gardens Recreation Center on Sunday, Sept. 9. The event is the second day of the Grantville-Allied Gardens Kiwanis Club’s pancake breakfast fundraising event that raises money for community service projects. A rummage sale on Sept. 8 kicks off the weekend events. Breakfast will be served starting at 8 a.m. both days. Practice for the teams begins soon for children throughout the Navajo Community and players wearing their CSC T-shirts provided by recreation and competitive sponsor Jersey Mike’s Subs will be seen at various sports fields in the area. This will be a challenging season for game and practice space through the middle of October due to the renovation of fields. Fortunately, the City of San Diego, through funds allocated by the Allied Gardens Recreation Council, is refurbishing three of the largest fields normally used by players for practices and games, and by schools as part of their physical education curriculum. Skunk Hollow, Lower Lewis and Dailard Elementary fields are receiving a much needed renovation. When completed, the community will have three very green, safe and healthy fields. Crusaders Soccer recently experienced a break-in and a loss of soccer equipment similar to what has transpired at the Mission Trails and the San Carlos Little Leagues this year as well. Throughout the summer, CSC is offering free Friday evening clinics at Pershing Middle School. Check their website at sandiegocrusaders.com for more information on all their programs. The city of San Diego is preparing its new five-year consolidated plan for allocating funds provided by the Department of Housing and Urban Development (HUD). The plan will determine how HUD funding will be directed through the fiscal years of 2020–2024. Local officials are asking for input from residents and will host a series of forums throughout the city in July and August. “Understanding the communities’ priorities is critical to ensure San Diego is leveraging federal funds for the maximum possible benefit,” Erik Caldwell, economic development director, said in a press release. Programs to be discussed include the Community Development Block Grant (CDBG); Emergency Solutions Grant (ESG); HOME Investment Partnerships Program; and Housing Opportunities for Persons with AIDS (HOPWA). More information about the policies can be found at sandiego.gov/cdbg. For forum dates and locations, visit bit.ly/SDforums. A community-needs survey is also available at bit.ly/SDCPSurvey. In late June, volunteers from the San Diego River Park Foundation (SDRPF) reached a milestone it has “mixed feelings” about when it removed the 2.5 millionth pound of trash from the San Diego riverbed since the group’s river clean-up program was founded in 2001. This year, hundreds of thousands of pounds of trash entered the river ecosystems, from sources including stormwater debris, litter, dumping and homeless encampments. According to surveys coordinated by the River Park Foundation in spring 2018, 82 percent of the trash in the riverbed is related to homeless encampments. In just the first six months of 2018, volunteers have already removed over 160,000 pounds of trash. This river cleanup program is supported by donations from the community, as well as sponsors and grantors including: The city of San Diego, The Dorrance Family Foundation, The Hervey Family Fund at The San Diego Foundation, REI, Patagonia, and Think Blue San Diego. To learn more or to volunteer, visit sandiegoriver.org.